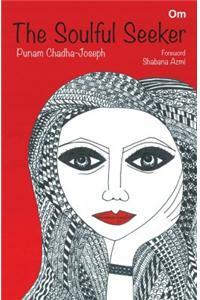 When writer-poet Punam Chadha-Joseph took to the pen, to give expression to the scale of emotions she went through in a single day, what emerged over time was a cyclical play of love, joy, wonder, peace, anger, courage, sadness, fear and even despair in varying intensities. Having always been forthright, outspoken and a nonconformist, conventional morality was open for debate as was gender stereotyping. The writer-poet’s enquiry into matters philosophical and comical, culminated in The Soulful Seeker, a moving collection of poems that resonates our aspirations, hopes, longings and disappointments, and above all, our ever-changing notion of ideality. A delightful read indeed! “A good poet’s task is to provoke thought through simple language. For, translating Descartes, I think, therefore I am. Doing this is not easy. Punam, however, does it simply and well. Do read her poems and you will find yourself thinking. And equally importantly, often find yourself smiling too. For as she rightly says, there are ‘little bubbles of happiness that (we) often forget to see’.” Amish Tripathi, award-winning author, The Shiva Trilogy and Scion of Ikshvaku “A delicate rhythmic journey laced with clarity and elegance, the warmth of Punam’s persona reflects beautifully in this collection. I’m sure it will engross every reader who is ‘A Soulful Seeker’!” Padma Shri Prasoon Joshi, National Award-winning poet, song-writer, screen-writer & advertising legend After completing her Bachelor’s in Economics (Honours) from St. Xavier’s College, Mumbai, Punam Chadha-Joseph joined the prestigious Oberoi School of Hotel Management in Delhi to do her post-graduation. In the course of her work-life, she met her husband Sabbas Joseph, the Founder-Director of Wizcraft, India’s pioneer Event Management agency. The Soulful Seeker is her first book of poems, and she is ready with another one, especially written for children, based on appreciating and saving the environment. Sketching being a new hobby, she has incorporated many of her sketches in The Soulful Seeker, including the very striking visual on the cover.